7 Benefits of Drinking Warm Lemon Water! 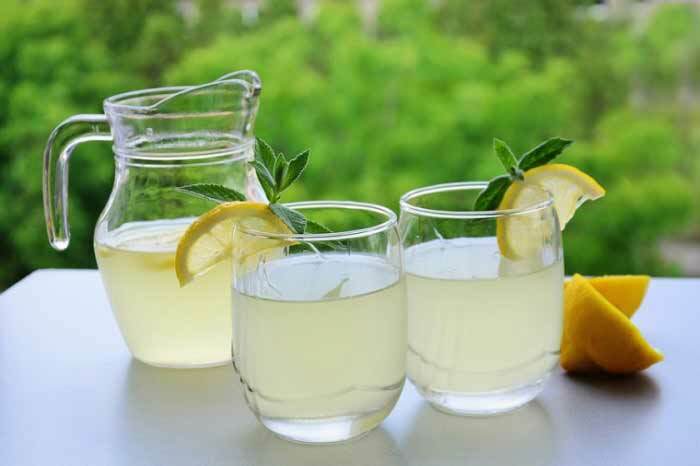 For years, one popular trend has been drinking warm lemon water first thing in the morning. It’s been promoted as fighting against viruses, for revitalization of the skin, boosting the metabolism and much more – however is it truly so life-changing, beneficial, absolutely, fantastically and incredibly? Read on about the health benefits of drinking warm lemon water! As soon as you wake up, take a glass of warm, filtered water, because it is a best practice to wake up the body with warm water. Too hot or too cold water requires more energy from your body. Squeeze juice from a lemon into a glass with water. (Half a lemon or a whole one, if you have under 150 pounds or over 150 pounds, respectively). Drink it not too quickly. To collect the most benefits drink it at a half hour before the first meal. What are the Benefits of Drinking Warm Lemon Water? Rejuvenates your skin: Lemons are abundant with vitamin C, which helps in the production of one very important compound -collagen, prevents the wrinkles, and protects your skin against free-radical damage. Nutrients are transported to the cell by water, so staying hydrated is essential! Increases energy & alertness: The nerve function and the function of the brain are helped by the potassium found in lemons, which can boost your alertness. Moreover, according to one magazine -Natural Health Magazine, scientists revealed that a very little amount of lemon is enough to reduce stress levels and to boost the hormones that make you feel good. Drinking water also helps in this field, as dehydration can cause a sluggish feeling because it drains the body’s energy. It hydrates your body: When the body is dehydrated, it receives energy from the fat metabolism, so dehydration can also make you feel hunger. The hydration is important for the overall health, so it is good to start the day with a glass of water. Plus, the lemon increases the flavor. Helps the body’s immune system: The ascorbic acid (vitamin C) which is found in lemons is essential for curing wounds. Lemon water could also help to and calm sore throats and to dissolve the phlegm during a cold. Drinking water in the time of illness is important, because your body is constantly trying to defend itself from the illness. The possibility of preventing the common cold by consuming lemon has not been proven, however, unless you live in severe climates. Eliminates the toxins: The fresh lemon juice cause a liver reaction stronger than any other source of food because it amplifying its enzyme production, according to Dr. Alexander F. Beddoe. This increases the liver’s efficiency to secrete bile which is crucial for digestion and also for releasing the toxins. Lemon juice is known as a diuretic. That means that it assists the water elimination through the kidneys together with some toxins. This is achieved by increased urination, which helps to people who have UTI’s. Could aid in weight loss: In addition to coordinate your metabolism, lemons are abundant with pectin fiber. This fiber makes you feel loaded, so can help to avoid hunger and prevent cravings. Drinking plenty of water also contributes to this full feeling. By combining two natural ingredients, lemon and water, you’re already starting your day on a healthy note — and this can lead to better eating habits throughout the day. Improves digestion: The acidity of lemons stimulates your digestive system and liver. This can help regulate your metabolism and bowel movements, thus helping your body absorb nutrients — and potentially leading to weight loss. Brush your teeth before or one hour after your lemony beverage. The enamel is softened by acids, so brushing immediately after consuming acidic foods and drink can aid in erosion. After you drink the lemon water use purified water to rinse your mouth out. Use a straw and try to immediately swallow the lemon water. Too much acidity can cause heartburn. If you’re liable to heartburn, a morning portion of zingy citrus may not be your best route. Discuss it with your doctor. Water and lemon are cheap and very accessible so that is why lemon water is very popular. Besides helping you stay hydrated, lemon water’s the most important component is vitamin C, which is also be found in great amounts in other fruits and vegetables, like citrus fruits, green vegetables, and peppers. So lemon water may not make miracles, it can surely help you have full of energy and healthy life.